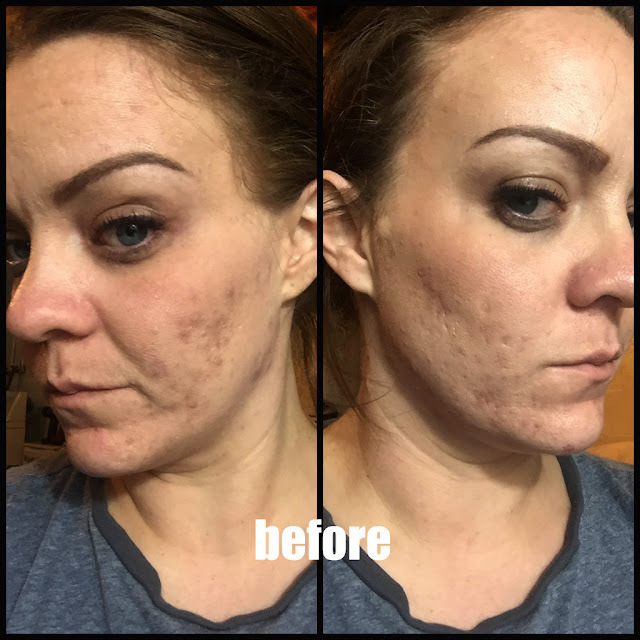 I was given an awesome opportunity to, again, hop on the awesome blogger train and join in on a great giveaway. Over the Top Coat has been around for just as long as I have and it is so exciting to join in and celebrate this awesome achievement. I know how hard it is to do this and yet how rewarding it is, as well. I want to wish her the deepest congratulations and good luck on another great year!! Below is a little description as written by Over the Top Coat as well as some rules, prize pics and (of course) THE 'COPTER!! Enjoy and Good Luck!! 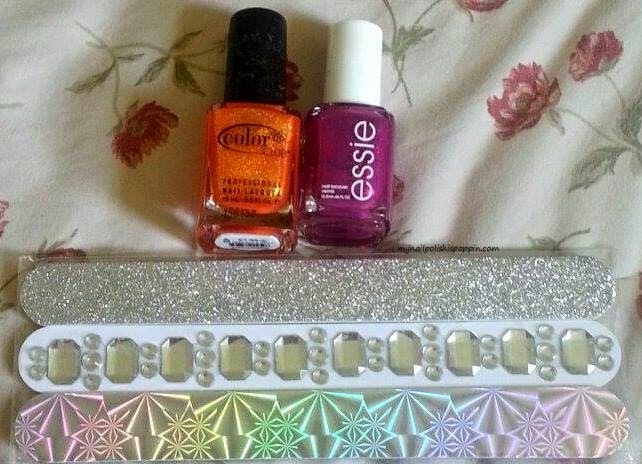 From Sunshine Nails, we have one full size bottle each of Finger Paints Mistful Thinking and Shower With Flowers and one mini bottle of China Glaze Travel In Colour. 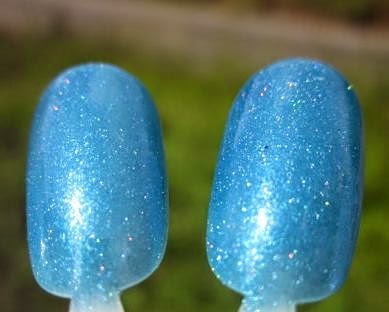 From Paint Shop Polish, one full size bottle of Under the Sea, a scattered holographic blue polish from her mermaid-inspired collection. 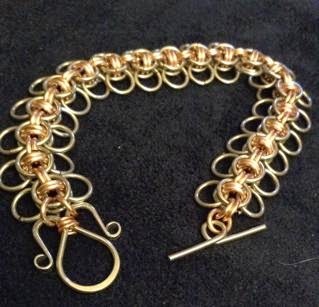 From Designs by Zazzles, one custom fit, rose gold and silver enameled copper, Celtic Wings chain mail bracelet. This bracelet will be made to order to fit your wrist so may take a little extra time for shipping. 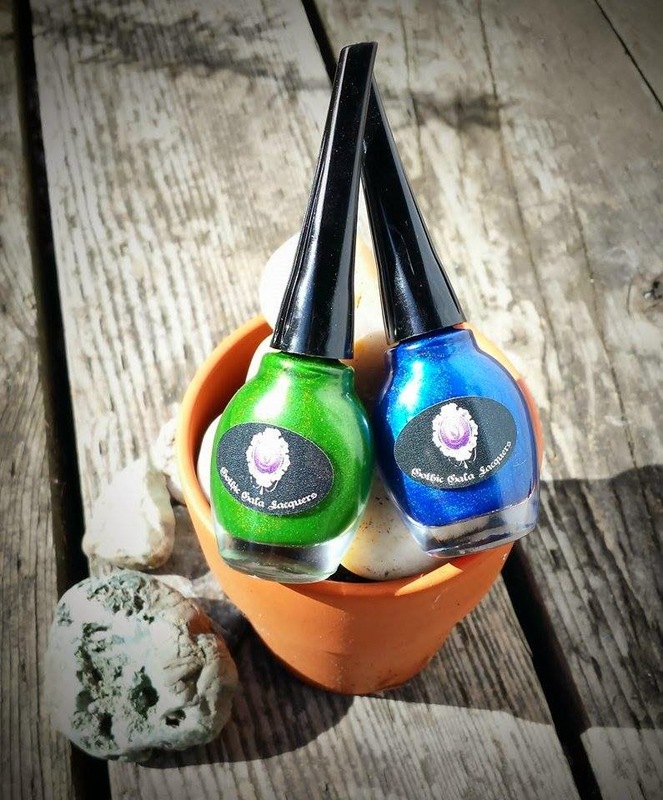 From Gothic Gala Lacquers, 2 full size bottles of the winner's choice. From Shirley Ann Nail Lacquer, 2 full size bottles from an upcoming (and thus far, unnamed) collection. 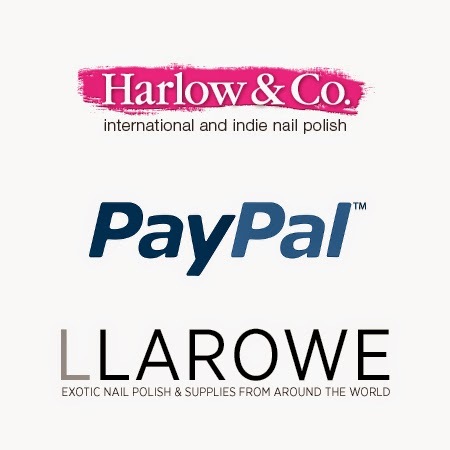 From Panacea at My Nail Polish is Poppin', a flat rate box of mystery polish. From A Mani Maniac, six 7ml bottles from Polish Addict's summer Neon collection plus one 7ml bottle each of a holographic topcoat and a neon glitter topper. 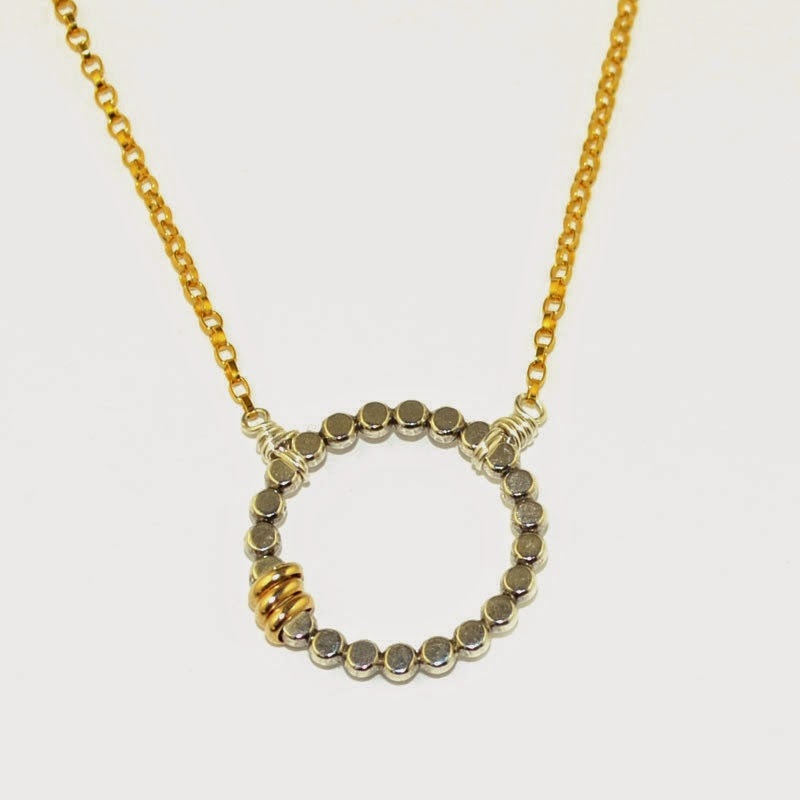 From Dana Reed Designs, one Beaded Karma necklace (sterling silver and 14kt gold filled, 16-18"length). 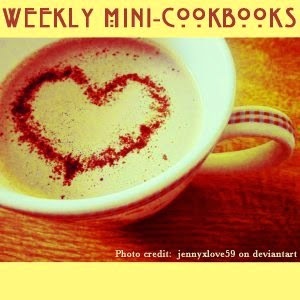 From Hand Picked Words, one month's free subscription for a weekly mini-cookbook. " This is a weekly mini e-cookbook that floats gently into your inbox every Saturday night, pages crackling with beautiful pictures and easy-to-follow descriptions of fun, delicious meals. Each one is centered around a fascinating theme. It could be a whirlwind culinary tour of Indonesia, or a time-traveling look at the world’s oldest recorded recipes." 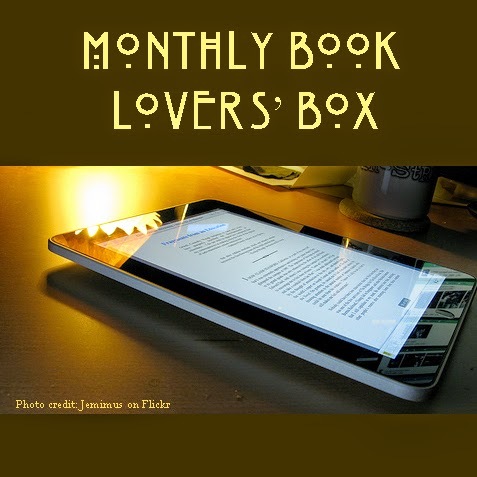 From Hand Picked Words, one month's free subscription for an Ebook Box. "A feast of delicious poems, short stories, art, books, and more will flow into your inbox every month. Each box includes TWO fascinating, fun-to-read books and four exciting shorter pieces." 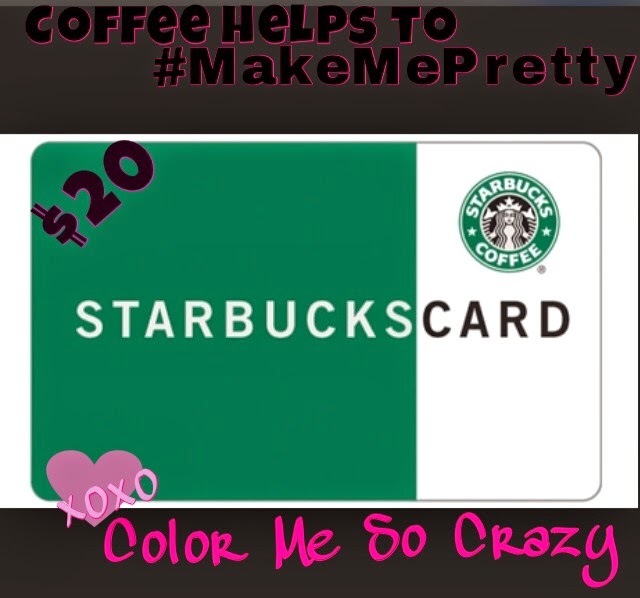 From Color Me So Crazy (International where available), a $20 Starbucks gift card. 1. Must be 18 years or older or have a parent/guardian's permission to enter. 2. There are 14 U.S. only prizes and 2 International prizes. International entrants may win U.S. prizes if they have a U.S. shipping address. 3. Once prizes are shipped, the shipper bears no responsibility for lost or damaged items. Items are packed with care, but the shipper is not responsible for how USPS handles the package. 4. One winner for each prize pack will be drawn randomly using Rafflecopter. Winners will be contacted by the donor of the prize they've won and they will have 48 hours to claim their prize. If a response is not received within 48 hours, I will redraw a new winner for that prize. 5. All mandatory entries must be completed for valid entry in the giveaway. The rest are optional, more entries increase your chances of winning. 6. The giveaway is open for entries beginning Monday, July 14th, 2014 at 12 AM CST and closes on Tuesday, July 29th, 2014 at 12 AM CST. I think that just about sums it up! Use the Rafflecopter widget below to enter and good luck!